There are two types of people. Those that pickle and preserve and those that don't. My family fall heavily in the former camp. The garages under the house in Italy are neatly packed, ceiling high with jars of preserved vegetables and fruits like my favourite, zolle, the pickled tops of the garlic plant. Utterly delicious. They also bottle a year's worth of tomato sauce and until recently, the ceilings were adorned with curing meats like salami and ageing cheeses. It is a haven. 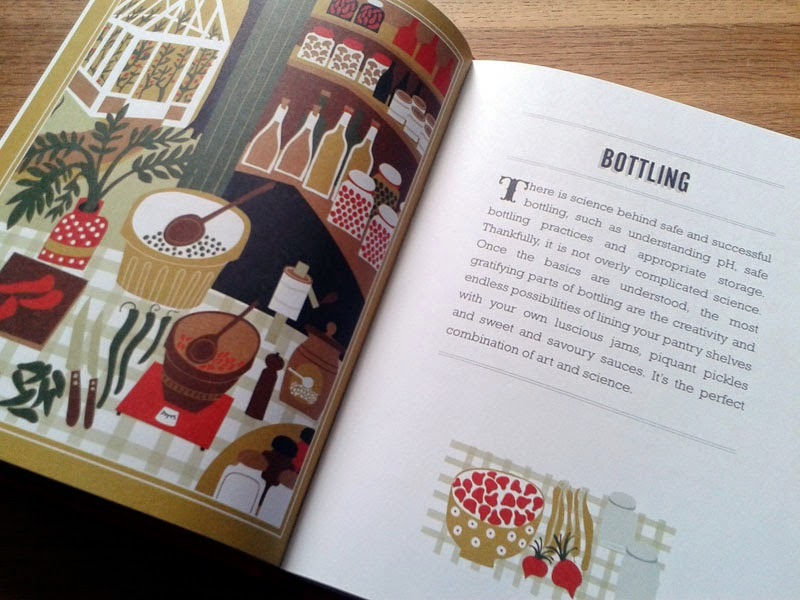 I recently returned from a trip to Italy and high on the fumes of vinegar I am as keen as ever to bring that preserving tradition to my own home. Although I don't have the garden to grow enough produce for year round food, I'll be starting off with easy things like pickled Giardiniere and then go on to mushrooms in oil and maybe some aubergines. But it all takes skill and knowing exactly how to handle and treat the produce to avoid spoiling. So it was fate that on my return the Wisdom for Home Preservers by Robin Ripley should fall on my door mat. 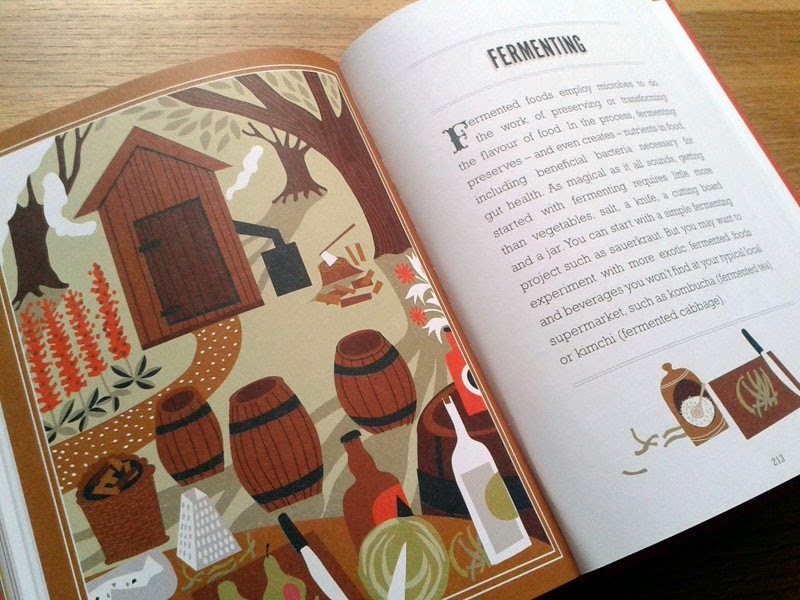 Not only does it have one of the nicest illustrated covers I have seen in a while, it contains 500 tips for pickling, bottling, curing and smoking your own food. Whilst it doesn't contain any recipes, it does list all of the things a seasoned preserver of food would have learned over the years, something that will help you hone those skills. Things like how to prepare your equipment, how to string chillies for drying, customising brines, root cellering and storing food. A whole host of information in different areas. 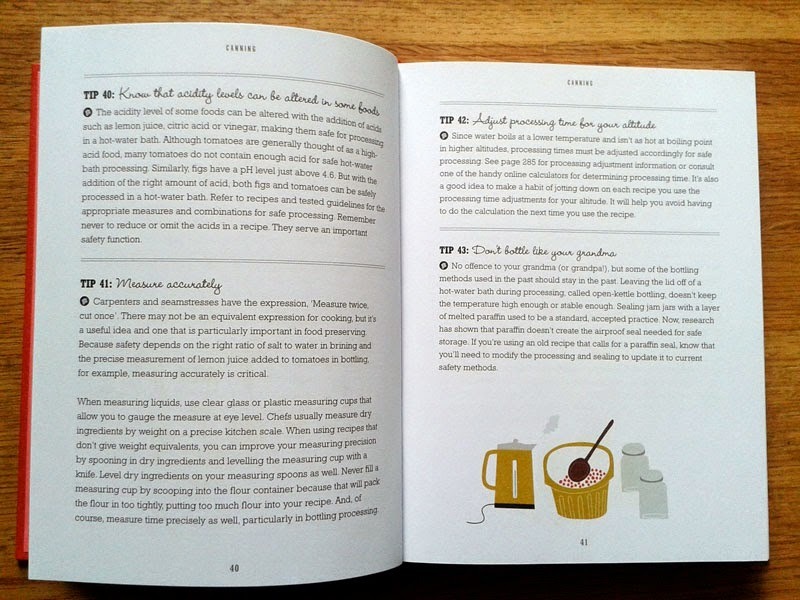 This may not be the most useful book for those starting out and needing a step by step guide to preserving food but a good one for dipping in and out of, to increase your knowledge and skill once you get going. 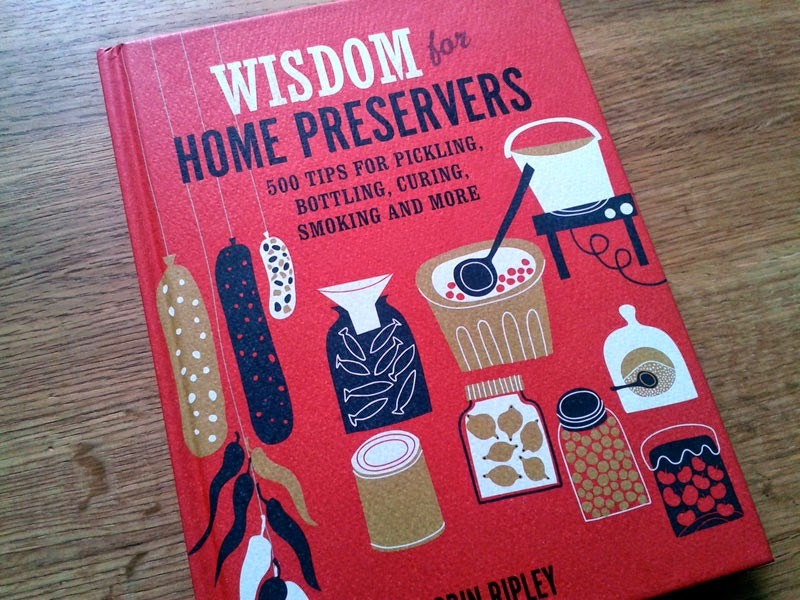 Wisdom for Home Preservers by Robin Ripley is published by Apple Press and costs £12.99. I was sent this copy for review.